The frequent and abrupt accelerations and decelerations often resulted in cracking in the cables and trolleys colliding and suffering damage. The proposed IGUS E-chain is designed to operate at high speed and acceleration rates. The cables are embedded in a plastic gear, which runs smoothly within a cable gutter. The MBS facility in Geel, Belgium is co-owned by the municipal waste service providers IOK Afvalbeheer and IVAREM who cover a significant part of the Province of Antwerp. It treats about 70,000 tonnes of municipal waste and 30,000 tonnes of business waste (mainly from hotels and restaurants) each year. Long crane travel stroke of 116 metres with travelling speed up to 2.5 m/s and acceleration/deceleration up to 0.5 m/s². 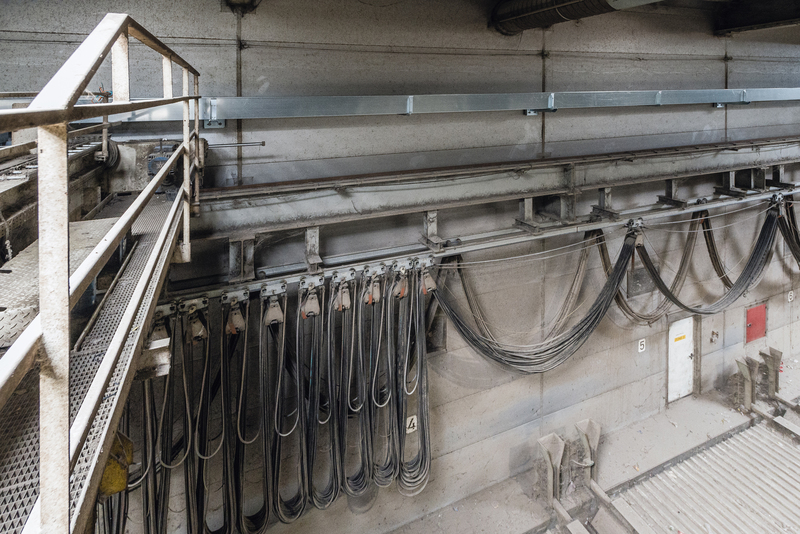 60-metre IGUS e-chains along the rail track, equipped with floating tow-arm, allowing for an alignment tolerance between the crane rail and chain gutter. 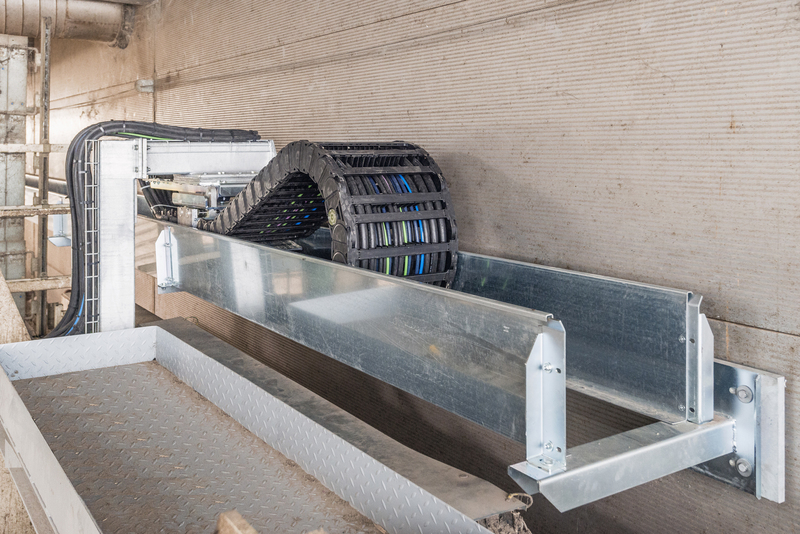 16-metre IGUS e-chains for the trolleys. 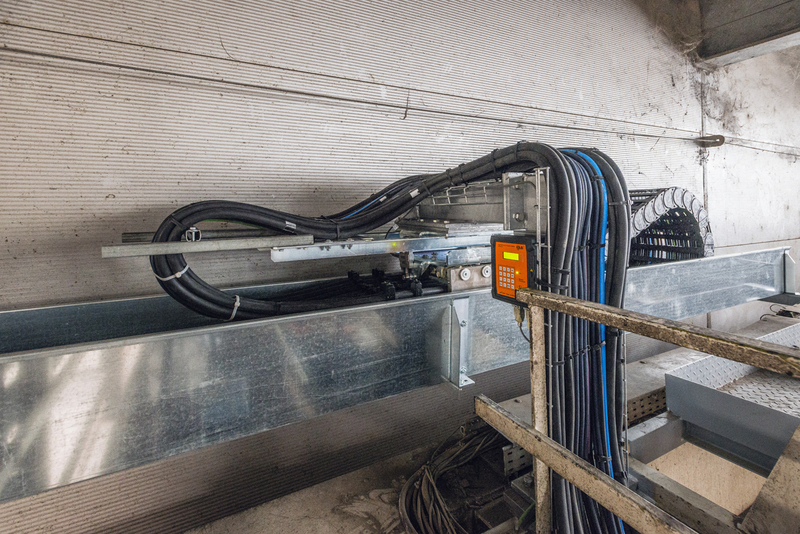 IGUS pre-harnessed ReadyChains® were used to facilitate installation. Both cranes use the same rail track, requiring the two long e-chains to run above each other in the same gutter.